She also has a great sense of humor in all her writing, which you’ll see below! 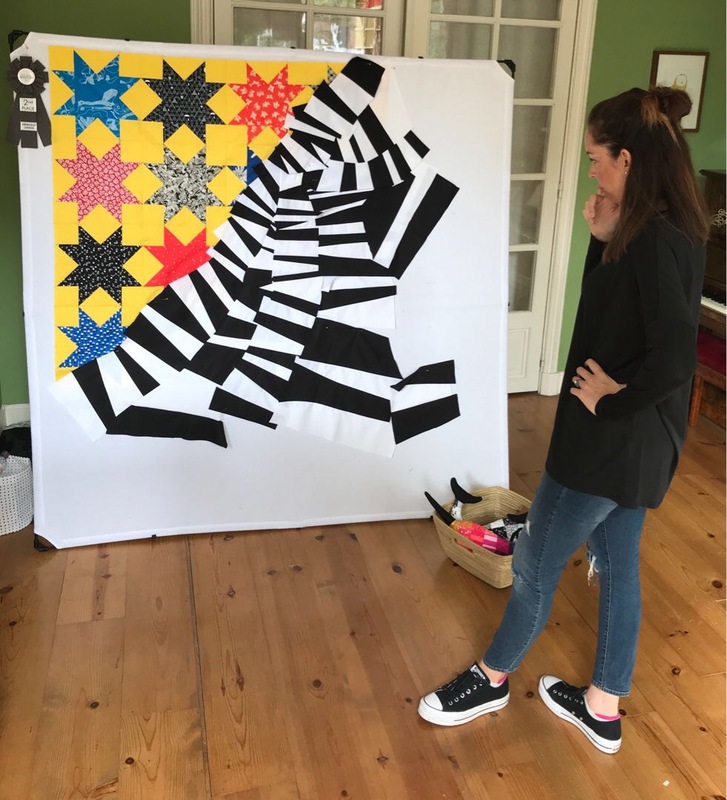 Rebecca is one of the designers for our Splendid Sampler 2 project, CLICK here to download her Splendid Sampler 2 blocks!. Let’s get to know Rebecca! Life is funny and the timing of this interview is just as funny. I wish I had a better vocabulary, more faculty of my verbal powers to convey to you just how funny the timing of my block and interview is. But alas, I’m a visual artist, so please forgive the fumbly verbiage. In short, though the timing of my block and interview has been scheduled for nearly a year, isn’t it interesting the “where you are” theme finds me in the middle of a move from the Netherlands to Houston? So, as I type, I am sitting on a new (oh so comfortable!) couch in Houston, Texas, not so patiently waiting on our the rest of our stuff from Holland. Yep, it’s still on the container ship. From the moment we signed on the dotted line from the time we arrived in our new Texan hometown, a mere 4 weeks blitzed by. As you can imagine there are a lot of moving pieces in an international move. Between homes, schools, furniture, doctors, and electrical systems, I’m about ready to escape to a sewing retreat. So, where do I live? Ha! I live in Houston, but only just barely, having just arrived from the Netherlands. I also call St. Louis my home. My favorite parts of Houston are the Tacos, February, and the pride of being “a Texan”. My favorite parts of Holland are the plants and flowers, the freedom of cycling, and the canal houses. My favorite parts of St. Louis are autumn, thunderstorms, and toasted ravioli. 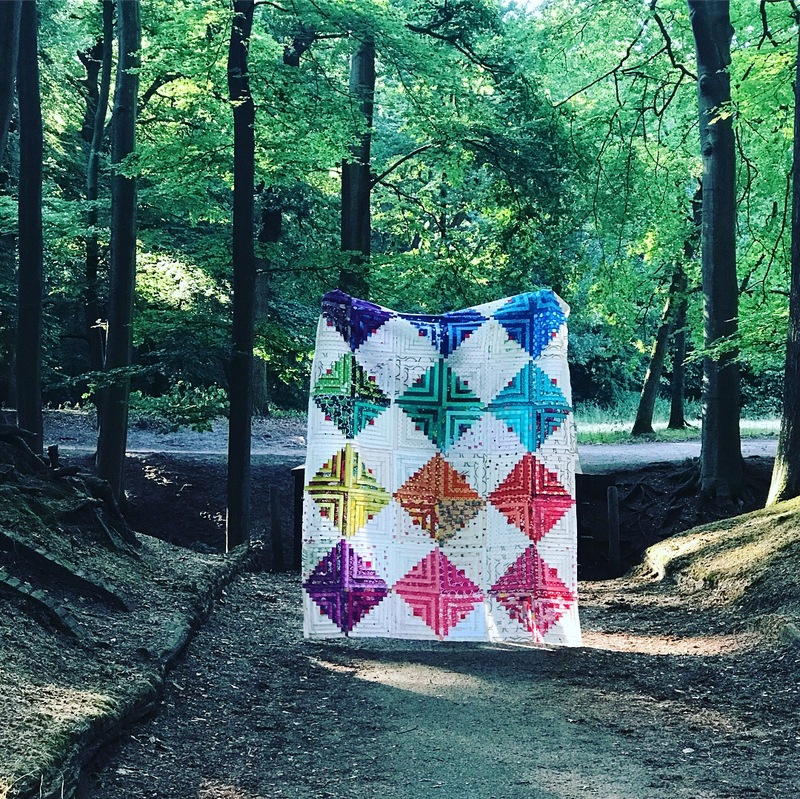 Since then, quilting keeps wrapping me up in an inescapable exploration of art and making. It’s like a reverse half life. 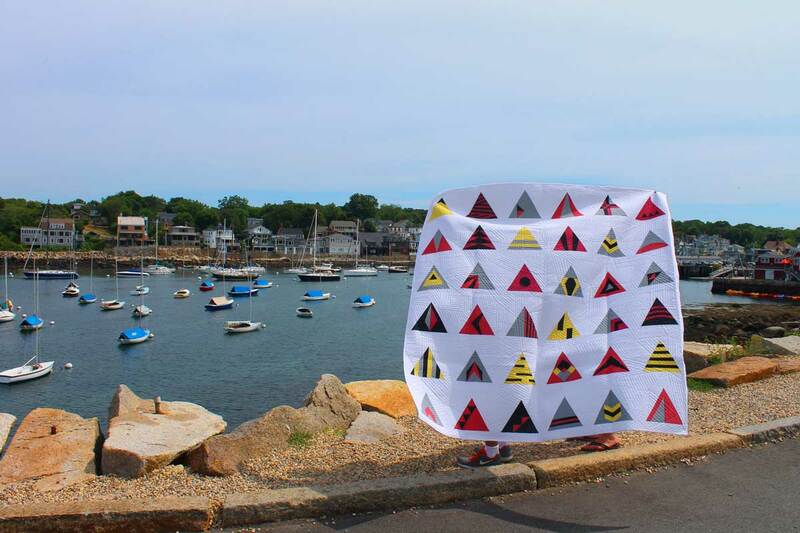 Make a quilt, wait 2 years, make a quilt, wait one year, make a quilt, wait six months, make a quilt, wait three months, make a quilt, make a quilt, make a quilt. I cannot tell you how much I dislike Paper Piecing. Paper Piecing is the worst. I used to avoid anything involving Paper Piecing. Then a friend turned me on to Paper Piecing with Freezer Paper and I have never looked back. Y’all. (I can say that now, I live in Texas!) Don’t paper piece. Freezer paper piece. 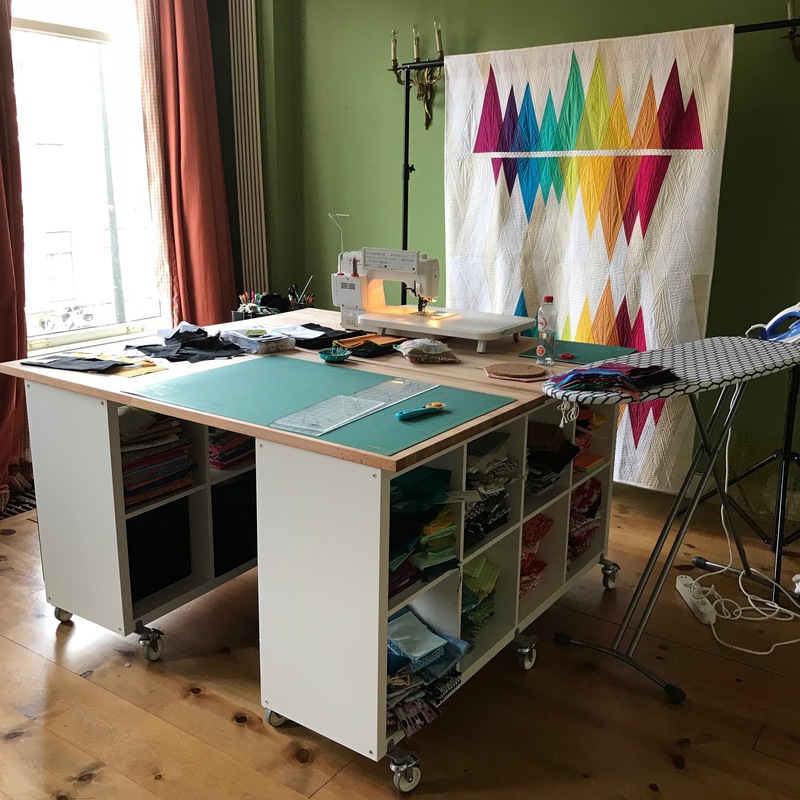 Here’s a glimpse of the studio I left behind in Holland. It was such a wonderful place to make and create! The ceilings were high! The light, abundant! The room, capacious! My studio perched above the street on the second level, so I could look out and people watch whenever I wanted. It was warm and comfortable and I’d just gotten everything organized and was getting back into my groove of making really meaningful pieces. And bam! Surprise-hurry-back move! So here’s my new studio space. It’s the formal living room of our new home. And it could use some work, eh? LOL. 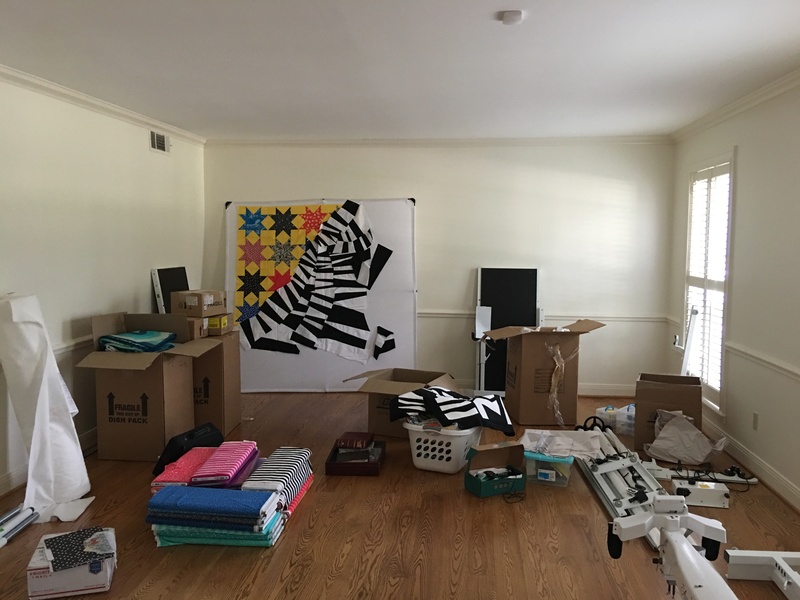 Apart from the must have stacks, the portable design wall, a few in process works, my Panache fabric and shop inventory, and a disassembled long arm, the room is waiting for all it’s studio stuff, which is still on the shipping container. Moving away from the USA to an entirely new place and culture, helped me clarify myself and my artistic goals. For a long time, I’ve had many many ideas that make me feel as though I might burst if I don’t make them. Just as we got the news we were surprise-hurry-back moving, I’d begun to work on those burst-worthy ideas. Sigh. So waiting is extra hard! Once our stuff gets to our new home, I plan to set up my studio likety-split and get back into the groove, working on my burst-worthy ideas. It’s gonna be great and I can’t wait to show you how I set up my new space. For now, you’ll just have to wait with me. I have absolutely zero new things to share with you. No new book, no new patterns, no new magazines, no new teaching, oh wait… no, I do have teaching. Ok, I am teaching. I love to teach! 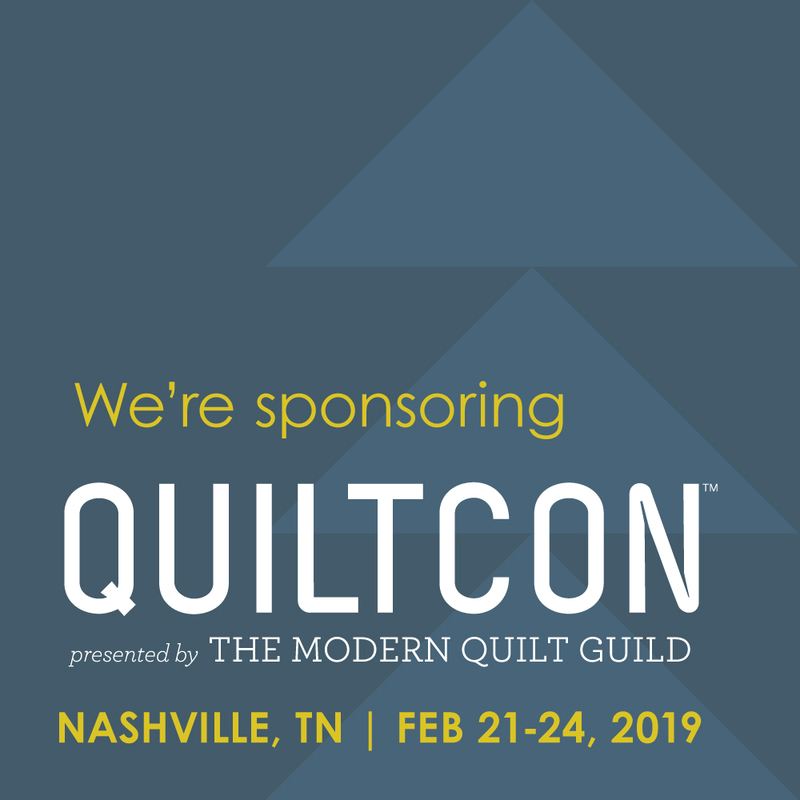 You can find me in online workshops hosted on my website and also teaching at your local guild (hire me!). One of my teaching passions is to help makers play with color. Simply understanding color theory is just not enough (nor is it fun). You gotta play! 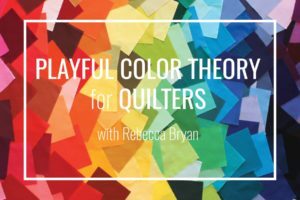 Check out my Playful Color Theory for Quilters workshop to get started or hire me for your local guild. Can you tell I’m trying to build back up my teaching schedule now that I’m back in the States? Hire me! 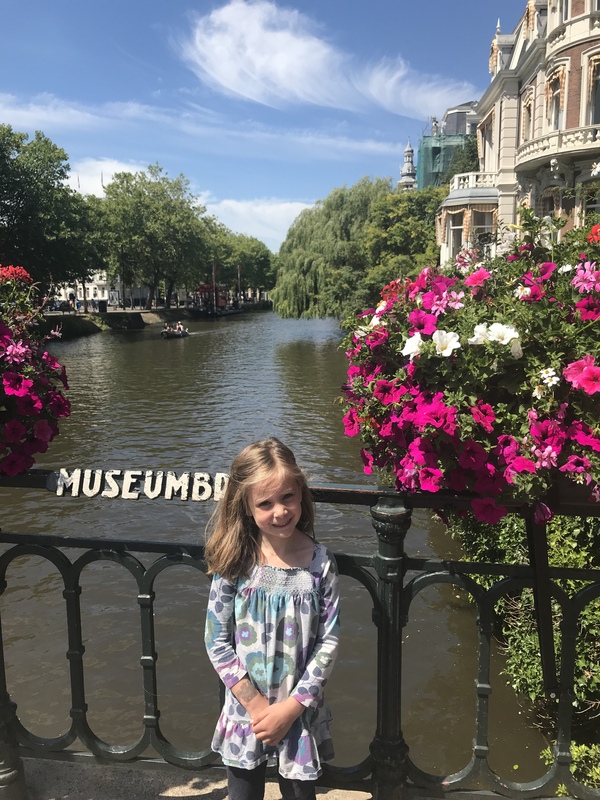 My block, “The Rooftops of Amsterdam”, is inspired by my family’s routine visits to Amsterdam. Imagine a perfectly sunny day. Not too hot, lots of sunshine, with an invigorating breeze. Lots of people around you. Annoyed cyclists whizzing busily past you (don’t forget to look both ways!) as you dash to grab a table at a local restaurant. Of course, you’ll dine al fresco! As you enjoy your coffee (flat white for me!) or tea, you take a moment to enjoy your surroundings. Note the canals and the overflowing flowers lining the bridges. In the canals you’ll see many boats teaming with happy people enjoying the weather. Take in the architecture and the lines of the canal houses. Follow the rooftops as they jitter jag into the distance and relax into a big sigh and another sip of coffee. Ok, now for the quilt block, the black fabrics represent the roofline and the white is the building facade. 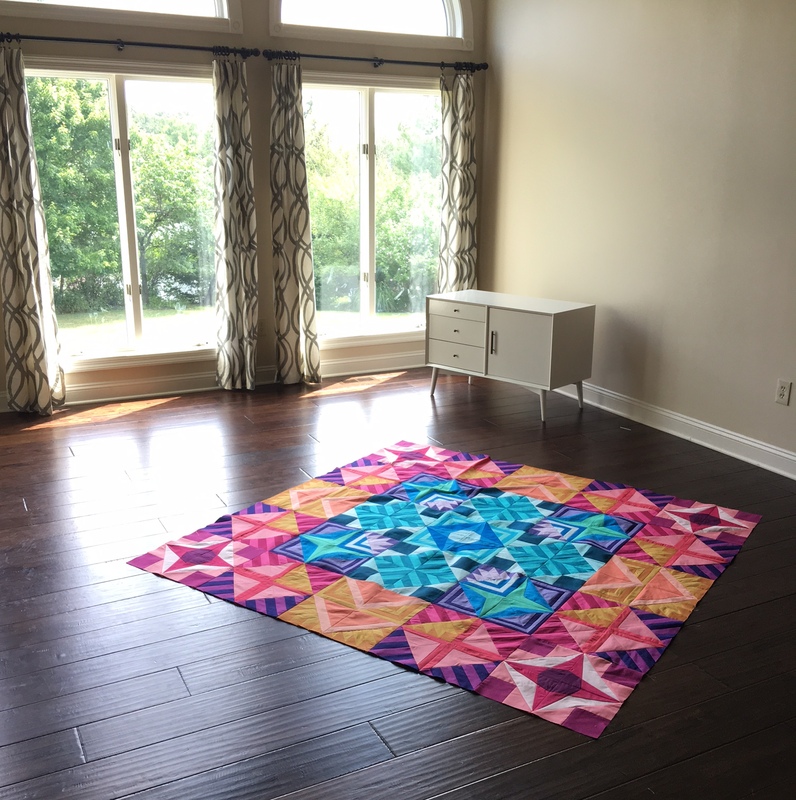 The magenta fabric is a window or a door and the perfect place to fussy cut some a fun prints. I chose magical unicorns to be framed in my windows. Ack! They’re so cute! 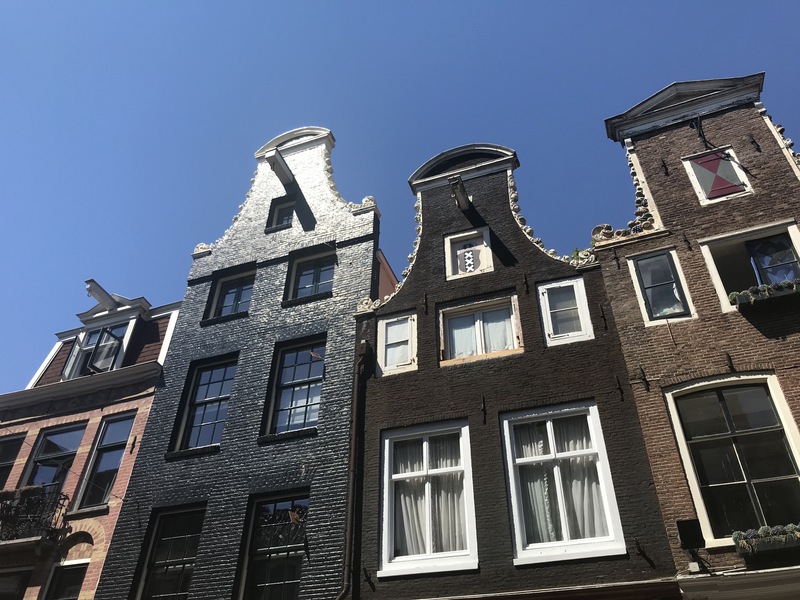 Also, if you are an embroidery or an embellishment artist, use the abundance of white facade to add in details you might find on actual canal houses. There’s lots of opportunities to add your own personal touch. A Fun Question – If you could eat only 3 foods for the rest of your life, what would they be? –Tacos, apples, and chocolate sheet cake. I think that’s balanced, no? 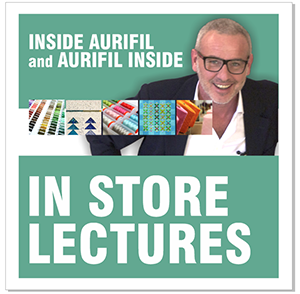 CLICK TO MY Website to see 2 ‘Pro Tips’! Our RANDOM picker had to select the winners, your July blocks are outstanding! Thanks for the great block. It was fun to “meet” you. 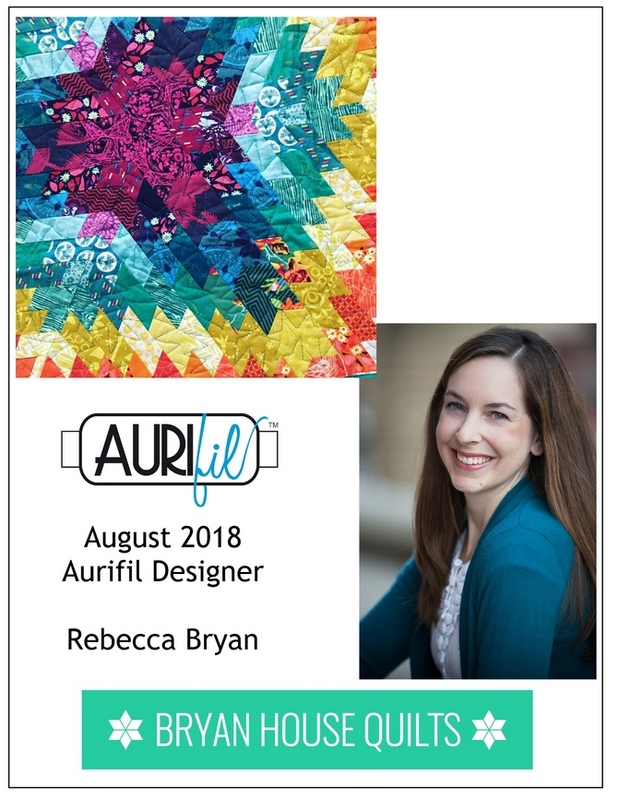 I have an Aurifil thread collection from Rebecca and it is one of my favorites! The Milk & Cookies block is super cute!! I love your blocks. I really love the block on the left hand side of the start of Pat’s introduction to you. Thanks for the super cute block! I really enjoyed meeting Rebecca and reading her story! Congratulations to the July winner. 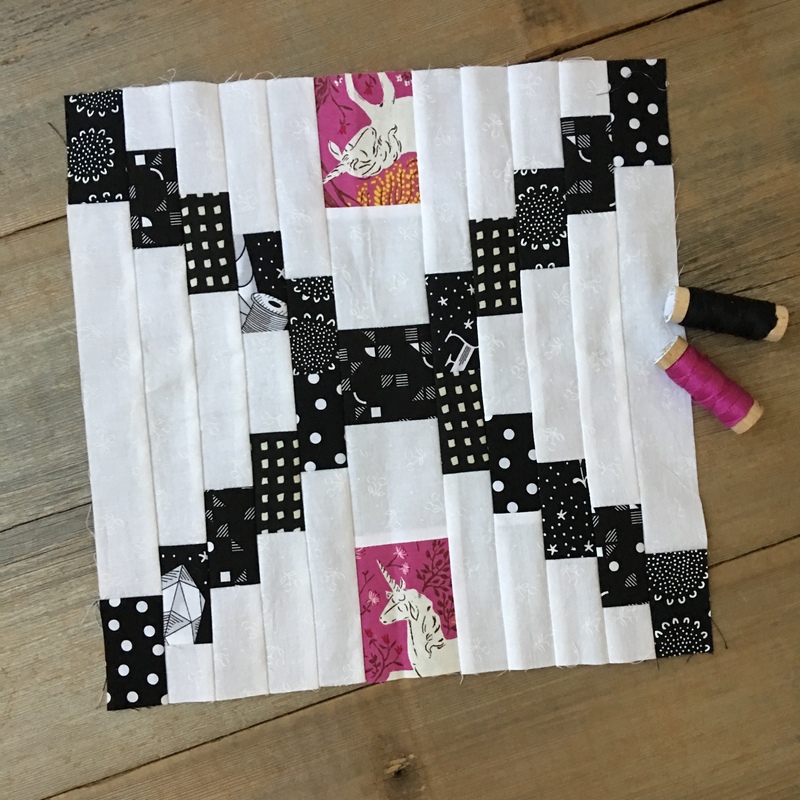 This month’s block is another super-cute one that I will be making. 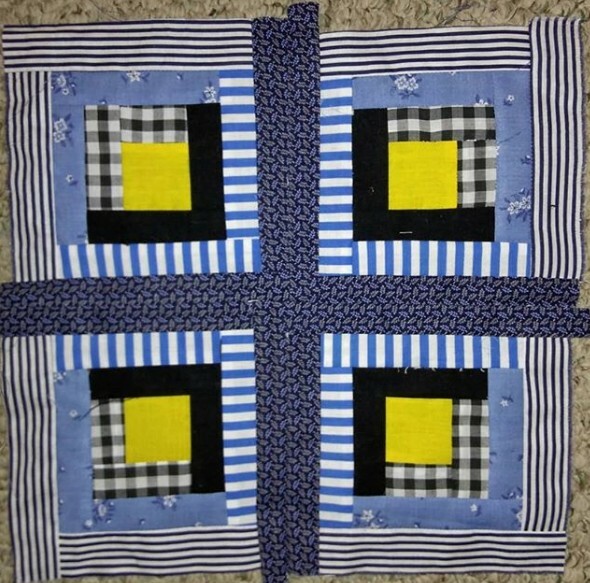 I loved making this block. I’m happy with my color choices which is what I struggle with. Thanks to Pat too for her tips. I’m having too much fun! I hope you love Houston! I really did and two of my daughters still live there so my car is on auto pilot most weekends to visit. We lived way out west in Alief for 10 years but we moved back to Austin to be closer to my aging parents and for my husband’s job. 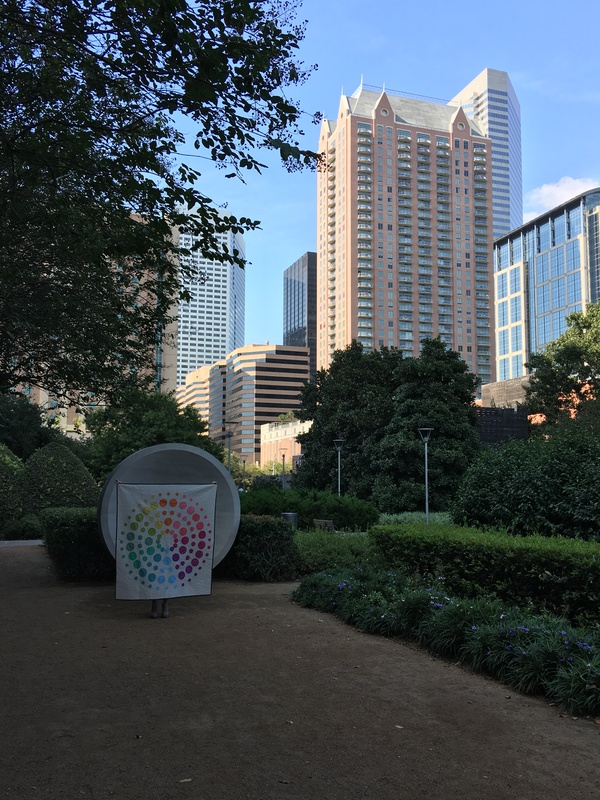 You are going to love being so close to the Houston International Quilt Festival and market. Thanks for the beautiful block and I hope your furniture gets here soon.